including STS, diving, terminal management & fleet operations. West African Fenders STS Transfer Services are licensed by Nigerian Ports Authority to conduct lightening operations at anchor in port as well as offshore. Our equipment conforms to NPA guidelines and maintained to the high standards expected as we provide Yokohama Brand Fenders and Hoses for all our STS Operations. 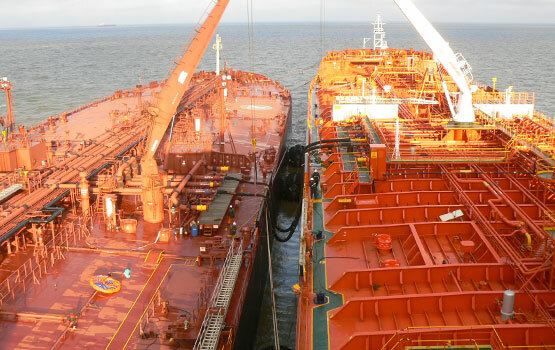 We provide ship-to-ship (STS) services to the oil and shipping industries. Transfers can take place between vessels of any size and a variety of cargoes including crude oil, white and black products, LPG , as well as bulk cargoes. We operate time-charters, spot charters, bareboat charters, dry-bulk charters, Contract of Affreightment (COA), consecutive voyage deals as well as customized charter solutions. We provide long term charters of Tankers ranging from Handy sizes to VLCC size, able to load black or white cargo. West African Fenders is a world class marine company with an aim to provide marine services to targeted business environments in Africa with the view of growing into regions in other continents where there is a growing need for Marine Services. West African Fenders was created with the view of taking on the Ship to Ship Transfer operations, Piloting / Mooring Master services and providing high quality Marine Products and Services. We are focussed on providing high quality, industry compliant Operations and also to offer our clients bespoke services, which work best for them whilst remaining competitive. Established in 2014, we bring a combined experience of over 32 years of international STS expertise, upstream marine services and shipping.